Brimbank Writers and Readers Festival, (8-17 Nov) various suburbs within Brimbank city, Vic. Supanova, (9-11 Nov) Brisbane, Qld. untitled Literary Festival, (15-18 Nov) Stonnington, Vic. Word for Word: National Non-Fiction Festival, (16-18 Nov) Geelong, Vic. 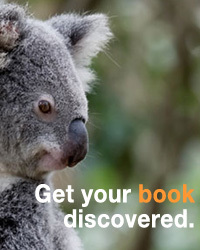 Independent Publishing Conference, (22-24 Nov) Melbourne, Vic.